* Hard rock act Emphatic and singer Patrick Wilson have parted ways, according to a post on the band’s Facebook page. The move leaves founding member Justin McCain as the last Omahan in the band. In a statement posted Monday, October 22nd the band wrote, “Patrick Wilson has left the band due to personal reasons. Patrick will be missed but the show must go on.” Emphatic last played in Omaha Saturday, Sept. 22nd at the Waiting Room Lounge, 6212 Maple St. 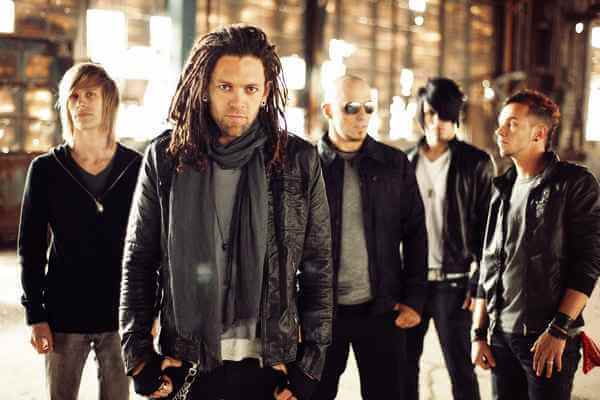 The Omaha-bred band is also preparing to release a new studio album in early 2013. The record label releasing the new album, as well as a title or release date, have not been revealed. The record will be a follow-up to the band’s major label debut Damage, which came out on Atlantic Records in 2011. During touring that summer, WIlson injured his vocal chords and Grant Kendrick of local act, the Wreckage, filled in. The band did not give any details on a new lead singer. * Emphatic’s lead singer leaving is not the only hard rock singer shake-up with regional ties to occur last Monday. Texas act Flyleaf have replaced original lead singer Lacey Sturm with Vedera’s Kristen May. Vedera, who were known early on as Veda, were a Kansas City-based alternative rock band fronted by May. They broke up in 2011. * Live Nation and the Metropolitan Entertainment and Convention Authority have put the two-year-old Red Sky Music Festival out of its country-pop and hair metal misery. There will be no third incarnation of the event, which had been held in and around TD Ameritrade Park, 1200 Mike Fahey St. Organizers cited hot July temperatures and difficulties securing acts around the event’s set dates as factors in killing off the festival. However, stadium officials still hope to book other events at the stadium next year. Headliners for the event’s two years included Journey, Kid Rock, Jason Aldean, Brad Paisley and 311. * Destruction Unit somehow have unearthed a connection between short burst garage punk and guitar-soaked psychedelic drone rock, as Ryan Rousseau and his four co-horts ripped through around a half dozen economy-sized mind-fryers in less than 30 minutes Friday, October 19th at O’Leaver’s Pub, 1322 South Saddle Creek Road. Destruction Unit’s three guitar attack added an extra wallop to these post-Hawkwind punches of space rock.